Pesticides allow for an efficient fruit and vegetable crops, higher yields and lower cost of manufacture. At the same time, their application must be responsible and safe, both for humans and animals and for the environment. Not long ago, peeling apples was considered a sin, because their bark was full of vitamins. Today, experts point out that from this we have more good than harm. Pesticide residues and their degradation products are definitely present in vegetables and fruits. Those who remain on the agricultural products shall be expressed in milligrams per kilogram of food. 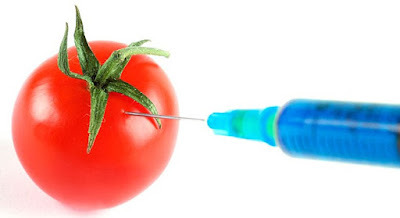 Why are pesticides in foods harmful and how they are dangerous to human health, find out below. How is the use of pesticides harmful? In order to eliminate pests and improve yields of plants, each year around the world about two and a half million tons of pesticides is used. Modern production is unthinkable without the use of these chemicals. They are specially formulated to destroy insects, fungi, weeds, viruses, bacteria and rodents. Unfortunately, pesticides in food have a long term effect on human health. The effects of the harmful effects usually do not show immediately but after many years of use. Today and apple, which has always been a symbol of health, is top the list of fruits with the biggest backlog of pesticides. The best example are just apples, which we used to eat together with its peel. Today we must remove it because the largest remnant of pesticides is accumulated here. Another way that we can avoid introducing excessive amounts of these harmful substances is the use of organic fruits. It is therefore advised buying fruits and vegetables from trusted manufacturers. Additionally it is necessary to thoroughly wash fruits and vegetables to eliminate any pesticides. For this purpose there are special solutions for washing. They can be made from ingredients that each of us already have our kitchen. Growers of agricultural produce most of the problems they face solve by using pesticides. However pests quickly develop resistance to them. Then farmers are forced to use new and all more toxic agents. Excessive use of chemical destroys beneficial micro-organisms in the soil. Therefore it reduces its ability to renew. For this reason there is a greater penetration of pests in the soil, and increases the need for higher doses. This creates a vicious circle, which is profitable for the agrochemical industry. But all this is very dangerous for all of humanity. Pesticides in food means not good for our health. Find out in which fruits and vegetables are most of the pesticides. For a long time an apple, the former queen of fruits, occupied the first place in terms of the content of pesticide residues. In addition to the production it sprayed more than 20 times, they are treated with chemical preparations after harvest. Only in this way it can be kept longer in storage. Besides them, on the list of most contaminated products are celery, cherry tomatoes, strawberries, grapes, peaches, spinach, and cucumbers. Pesticides do not miss peppers, hot peppers, nectarines and potatoes. However, fruits and vegetables are not the only things that are poisoned by pesticides. On that list are bread, meat, milk, eggs, juices, beverages, cereals. According to some research lettuce and oat are also on the list of most contaminated products. Experts say that spraying is often necessary if it is grown in greenhouses. In such conditions there is a great chance of development of gray mold pathogens. It is a fungus that for a few days can destroy the fruit if it is not adequately protected. In this case, pesticides are necessary. Therefore, the salad should be sprayed with fungicides, as well as against mildew and pests, and all this more than once. One of the problems is the fact that it is harvested only 45 days after planting. So in hat short time it is treated many times. What is worse, we eat just one part of the plant that is most treated and that is its leaves. This is certainly much worse than in the case of potatoes. With it only leaves are treated, and we eat the fruit that grows in the ground. Often the lettuce we buy has been sprayed all week prior to our purchase. Therefore, the basic washing of the same is very important. Wash it, leaf by leaf and even better if you can get a salad of organic origin. Pesticides in food are nothing new, almost every store has them, including citrus fruits. Although it is full of vitamins and beneficial nutrients in their use a variety of chemistry is involved. Lemon, orange and tangerine contain large amounts of pesticides. Therefore, in the declarations there are warnings that bark is not for eating. However, housewives disregard this and add it to delicacies. Pesticides in fruits are the most common on their bark and our biggest mistake is that we do not wash the fruit before using it. We believe that there is not much sense to wash something that we will peel before eating. However, that same peeled fruit is also touched by unwashed hands in which we have held a fruit before peeling it. What fruits contain a minimum of pesticides? Most fruits which are mostly used in the diet are on the "black" list. Yet there is a shorter list of those who are considered the safest to use. They have low levels of residual pesticides. Among them are: corn, onions, peas, cantaloupe, pineapple, asparagus, avocados, cabbage, eggplant, kiwi and grapefruit. Pesticides in food will not be so easily removed as it seems to some. Almost in no way will washing remove all of their remains, but you can certainly reduce the total amount. What we all know is that the fruits should be washed thoroughly with plain water. However, washing is more effective if you add other ingredients. On three parts water goes one part of vinegar. It should feel warm, not hot. In this solution, you can add a tablespoon of salt or lemon juice - to 250 ml of water goes a tablespoon of lemon juice. After ten minutes the desired effect is achieved and fruits can be rinsed with plain water. The fruits should be washed just before use. In this way, after immersion in water and eliminating pesticide it shortens their shelf life that is the fruits will faster root. While vinegar creates a strong acid, sodium bicarbonate creates a strong base. It equally effectively destroys pesticides with food. In one cup of water add two tablespoons of baking soda, and in this mixture can add a tablespoon of lemon juice. If you mix the vinegar and soda you can get even more powerful means, which removes pesticides and wax from fruits. For foods coated with wax it is necessary to mix a tablespoon of baking soda, half a cup of vinegar and a cup of water. Pesticides in fruits and vegetables by this means will be efficiently removed. In order to reduce the risks of adverse effects, fruits and vegetables should be thoroughly washed. With leafy vegetables remove outer leaves and each leaf wash under running water. Cauliflower and broccoli gently wash the brush under the tap. Berries should be examined in detail and then cleaned of impurities and damaged berries. Rinse fruit just before use in gently running water. Today it is considered that the risk of pesticide use exceeds the benefits of their use. Modern conditions of food production are all riskier, especially in light of global climate change. Opportunities for organic farming of fruits and vegetables exist but they currently are not enough for the entire population. There is much more work on it. In addition, some pesticides in food are carcinogenic, neurotoxic or teratogenic (fetal damage). They can be very hazardous to human health. There are two basic ways of pesticide exposure: chronic (long-term) and acute (short-term exposure). Risk of exposure is estimated for individual chemicals. While the cumulative risk of exposure to mixtures of pesticides is not possible to estimate. In preparing vegetables and fruit for infants, small children and pregnant women remove the water in which the same was cooked. It may contain harmful amounts of pesticide residues. Fruit is best to be peeled, because the bark accumulates the most harmful substances. For all types of food, law stipulates the maximum permissible concentration (MPC) for pesticide residues. The lowest is for food intended for infants and young children. The chemicals we are exposed to through food and the environment can have a greater or lesser toxic effect.